Guest post tutorial by Jenny Hoople of Authentic Arts. 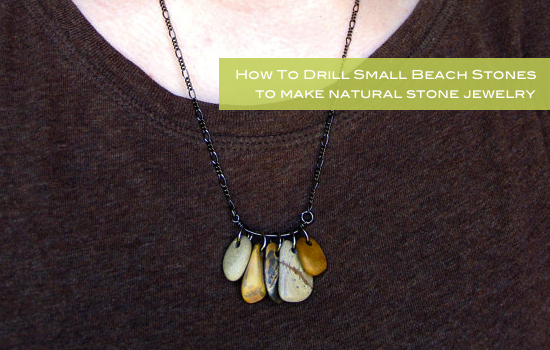 Want to learn how to drill holes in beach stones? Well, I’ve got good news for you: it’s pretty easy and I’d love to tell you how it’s done. 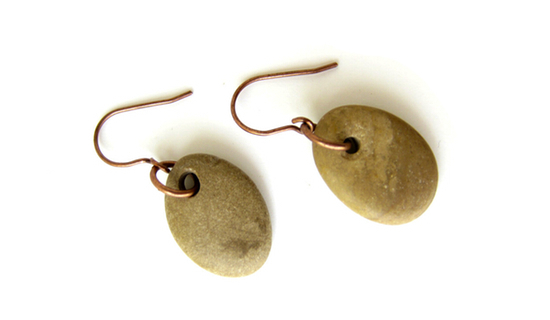 I’ve been making this natural stone jewelry for several months with pre-drilled pebbles that I purchased from fellow Etsy artisans. It took a little bit of internet research and guessing to figure out the best way to go about drilling my own, indigenous Wisconsin stones. Some sites said one thing, some said another. I took the best advice from several different sources and did some experimenting and found that drilling my own, small river rocks is not only possible, but pretty easy! I’ve gotten a lot of questions from people asking how to drill their own stones and I’d be more than happy to share with all of you. Almost any stone that you find CAN be drilled, but I really recommend starting with softer sedimentary rocks (sandstone, mudstone, limestone, etc). If a pebble you find on the beach isn’t rounded like the other ones around it, that’s a good clue that it’s a harder igneous or metamorphic rock and would take a long long time to drill. Other ways to tell if a rock is too hard to drill is by checking whether you can see crystals in the stone or whether the stone is shiny or glossy like quartz (ah, those magical wishing stones of my childhood!) 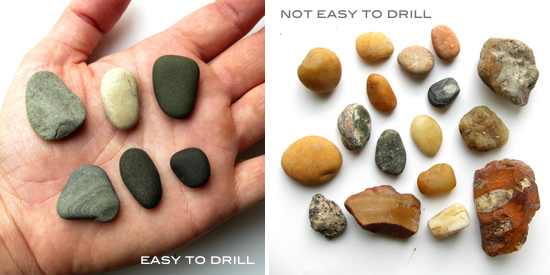 Sedimentary rocks will be much easier to drill, so start with those. But, don’t worry if you can’t tell what kind of rock it is. If it takes significantly longer to drill than the other pebbles, it’s probably igneous or metamorphic. 2. 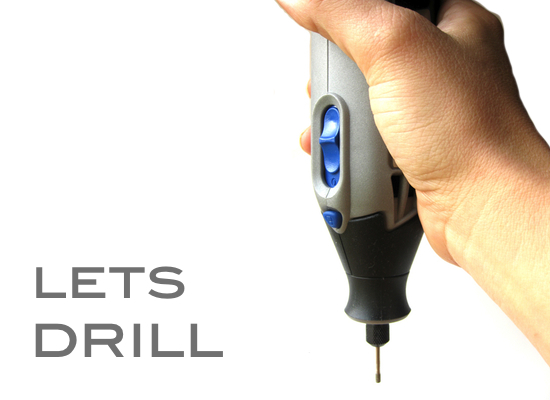 Hollow, diamond-tipped coring bits – These are much faster and effective for drilling holes in pebbles than a solid drill bit. There’s also less chance that you’ll break the stone when drilling and it’s much much faster! Not only do solid drill bits drill more slowly, you’d need to drill a small hole and then change to an ever larger bit until you widened the hole to the diameter that you wanted. Ridiculous! 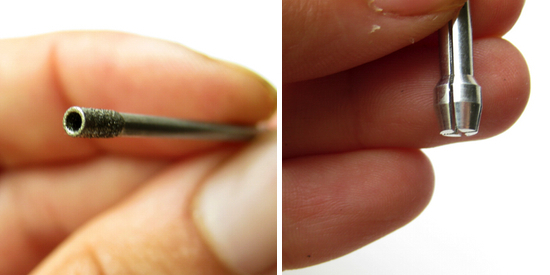 For drilling holes in small beach pebbles to use in jewelry, a 2.5mm diameter hollow coring bit works well. The bits they sell that are officially for Dremels are way too expensive, I highly recommend getting your bits from Rio Grande Jewelry Supply. They have nice packs of 5 for $14 as opposed to one official Dremel bit for more than $20! You’ll be using all 5 of those bits eventually as they do wear out relatively quickly. 5. Little Piece of Wood – Like a shim or whatever, to have under your pebble so that you don’t drill through the bottom of your water container! 6. Goggles – Please always wear goggles when drilling! I always wear them even though I’ve got glasses. Real danger is minimal, it’s not like there are shards of rock shooting out all over the place, but it’d be a shame to lose your eyesight over some natural beach stone jewelry! Better safe than sorry!! 7. Rocks – Yes, don’t forget your beach stones, river rocks or what have you! Small (~1″) pebbles are ideal. 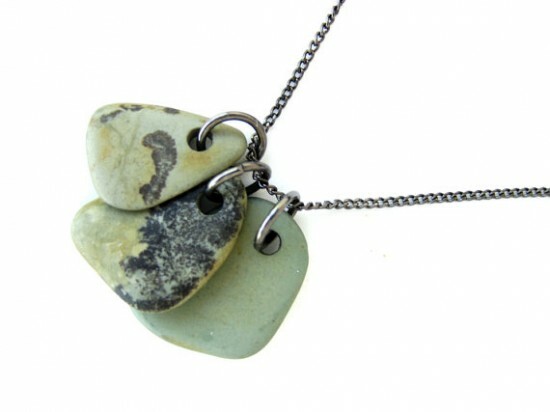 It’s easier to make necklaces like my Rock Collection Necklaces when the stones are small and thin (~1/4″ thick). That way they lay next to each other better. 2. Firmly hold your beach stone on top of the piece of wood and just under the water. 3. Turn on the Rotary Tool with your other hand and hold it perpendicular to the pebble. – Please be careful when working with the Rotary Tool around water! Don’t get any part of the tool wet that’s not absolutely necessary and don’t grasp the tool with wet hands. 4. Begin Drilling. – Let the weight of the tool do the drilling for you. Be sure to keep lifting the drill up and down. (This lets cooling water get into the hole and lets the sediment from the stone to flow out.) The water will get cloudy, that’s ok, just keep drilling. The only way that I alter these unique stones other than drilling a hole in them is to rub them with my hands after I’ve just put on some unscented Eucerin lotion (after the stones are dry, of course!). That helps to condition the stones so that the natural oils from your skin won’t leave uneven dark spots and enriches the natural color of the stone so they aren’t all dusty looking. After the lotion gets a chance to be absorbed by the stone, any excess should be wiped off with a clean, dry towel so you don’t have to worry about whether it will mark your clothing with an oil spot! Now get out there and start making some fabulous beach stone creations! All you need are a couple of basic jewelry supplies to complete the project once you have the stones drilled. Very easy. 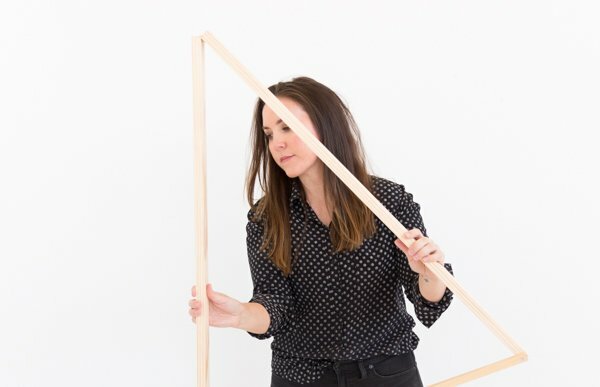 About Jenny: Jenny Hoople makes natural stone jewelry and beaded gemstone jewelry that is as natural, colorful and authentic as the people it’s given to. She lives near Madison, Wisconsin with her little Mexican husband and memories of their wonderful bunny companion (who crossed over the rainbow bridge after 7 happy, bun-filled years). 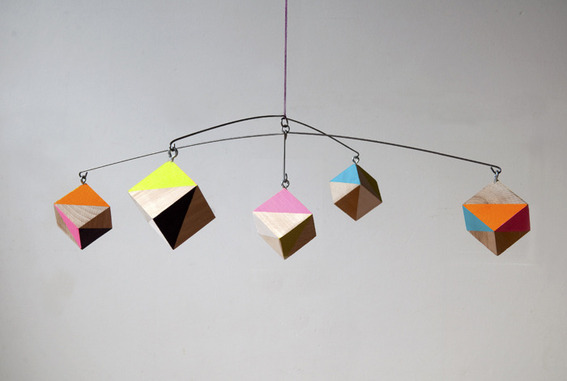 She’s passionate about color combinations, the handmade movement and living closer to the “real business of life”. Follow her on Facebook and Twitter @Jennyhoople. Thank you so much Jenny for sharing your project! For more ideas for quick and easy projects, click here to visit the craft tutorials and diy page filled with more than 60 diys. If you like this project, please help us spread the word by using the twitter and facebook buttons below. Thank you so much. This is such a cool idea. Thanks for sharing this Jenny. Thanks for sharing!! Something I’ve always wanted to know!! Thanks so much for sharing my tutorial Brittni! You’re all very welcome and I wish you much happy stone drilling! Great information! Thank you for the tutorial. I’ve wondered what would be the best way to do this. Saw this nifty tutorial via Pulse. Wondering, is the bit a Dremel product? If so, might you know its product number? Can’t seem to find a match on the Dremel website. Great info! I’ve been wondering how to do exactly this. One question: What speed do you run the Dremel? Great info, nicely presented. Thanks! Great questions and great comments! Thanks so much everyone!! Thanks for answering those questions we had in the comments Jenny. And thanks again for a wonderful tutorial! Could a normal drill be used with the bit you mentioned? Don’t really want to go to the expense of a good Dremel at this time but would like to give this a try. Cathy – I don’t think a regular drill bit will work. A regular drill would be so slow and the bit wouldn’t be hard enough to drill the stone. Diamonds really are a girl’s best friend here. Hello, does this work for drilling holes in 12mm beads? Thanks for sharing, always wanted to make my own. Do you think this would work on shells (like from the beach 🙂 ? Thanks Lindsey! Yes, I think it would work really well on shells! Hi Jenny! I have been scouring the web for about two hours now, looking for information on what size Dremel to buy to drill stones and beach glass and how to do it. You have, by far, had the best and most detailed information! My question would be, do you think the Dremel 300 would work on the stone as well? It seems to have the same qualities as the 4000, but perhaps a bit smaller. I am worried that the 4000 will be too bulky or hard to use. Do you find that to be the case? Great of you to …. SHARE, your also GOOD with explaining directions !!! Thanks. I’ll bookmark this and get myself a Dremel one day! I love beack stones and have a ton! Great tutorial! I need to know what size drill bit and which model of dremmel you are using, if you don’t mind. I just used your technique to put together some beautiful jewelry as a Christmas present for my lady friend. Thank you so much for the help! I would like to comment that while the diamond coring bit is essential, I was able to use a regular utility drill as opposed to a dremmel and had great results! Thanks again! I am very, very excited to find out all this wonderful information in a snap! I was at 2 different craft stores today for a total of 1 1/2 hours: Joanns and Michaels to look for any direction on how to make jewelry out of the beach stones I picked up off the Cape May beaches last year and got nowhere……I was disappointed until now! I asked for a rock tumbler for Christmas and got one! ~Now to create something from my heart to give to others as gifts. 1) How do you start the hole with the “Coring bit” since it does not have a pointed tip? 2) How do you hold the stones in place to drill a hole in the stone and not you fingers? Thank You kindly & God Bless! Thank you! I have just discovered the incredible beauty in rock and stone. I appreciate your concise, easy directions! You have given me the confidence to go ahead and jump right in! Thank you again! This is so nice. when i was young i used to pick up stones during summer, Thank God summers just a few weeks to go, I can go to the beach, im going to collect all those lovely stones and make my own necklace. By the way are those tools available in hardware’s in a set? thanks mucha! Love lots & hoping for updates. Great how-to. Want to remind everyone to get good quality masonry bits for your drill. The cuts go faster and the bits last longer. He great stuff. Keep it going. Looking forward to the next. You should really use a Drill Extension to reduce the very high and likely risk of getting electrocuted. Not only is there a high chance of water being sprayed back into the air vents on the Dremel, your hand is bound to get a bit wet. You Could get Electricuted simply because cheaper Dremels can often arc inside the motor, with wet/damp hands it can easily arc through the air vents to your hand. They’re very cheap and may save your life. Here’s a picture for when you go to the hardware shop, you’ll have idea what you’re trying to get. Thanks Jenny for the tutorial will this also work on say Jasper and other stones? I see a stone have a problem (cracking hole on other side). I can do it without cracks on second side of beach stone, if you want to know how to do it contact me any time! Awesome! 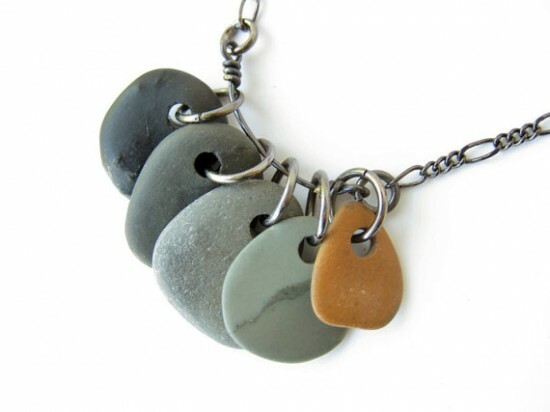 I can’t wait to try this with the stones I’ve collected over the years from the Lake Michigan shoreline. Beautiful ideas. I just really wanted to thank you for your generosity in sharing your knowledge on this subject. I really know how long it takes sometimes to research these things properly yourself, it is SO lovely of you to take the hard work out of it for the rest of us! Thank you so much for this well-done instruction. Your link to Rio Grande leads to the diamond bit, but nowhere do I see a 2.5 mm bit. The larges they seem to carry is 2.25 mm? Am I doing something wrong? Would like to pursue! Wow this is fantastic! I’ve worked with gemstones before, but never “stones” like this! Great tutorial!! would you be willing to drill a few holes if I sent you three to five rocks? and if so, what would you charge? awesome, but I would like to find about drilling mother of pearl. I would like to drill about a 2 mm hole in agate. What company and contact do you have for the drills if this is plausible? Also have you just tried grinding a small flat spot on the stone and using JB weld to hold a clasp on? Have you been able to sell many of earths most beautiful stones in various creative arrangements? If you could, would you Email me some way to talk on the phone to each other without the world knowing our phone numbers. Thanks for your kindness of putting this information together just to help others. We don’t find to much of that these days. THANK you SO much for the tutorial! I’ve wanted to try this forever. How generous of you. Thank you for the wonderful instructions. The link to the drill bits doesn’t work. Is this a pack of multi-size drill bits? I can’t seem to find just the 2.5 size bit by itself. This is genius! I have some gorgeous pebbles I collected from a beach in Italy that I’ve been wanting to use in some way. Can’t wait to make this! Hi, do you know of a less expensive alternative to the Dremel? I would check Amazon, Arielle. That’s where I bought mine and there are some pretty affordable options. With your beach stones do you polish or tumble them or use them as you find them on the beach? I found a good collection while out kayaking and have been searching online about polishing without a tumbler and how to drill the stones for jewelry (that’s how i came across your how-to!) I live in Iowa so i’m sure that i have some similar stones to what you’re working with. I appreciate any advice! bits from rio grande are not working..thinking we have the wrong rock…how do we find the correct sedimentary stones to work with? Hi, do you know what size collets you have? I have drill bits size 1, 1.5, 2 and 2.5 mm and I’m having trouble finding collets to fit. Thank you . After several ruined and wrong bits. After several cracked rocks. I finally thought to seek advice online and stumbled upon your VERY helpful site. Love it and keep up the great work. Wow! What a technique! I just used this successfully on the stones I found recently in Carpinteria. This has really opened my eyes to the world of making my own jewelry. Thank you!!! You are FABULOUS! Thank you so much for this advice,however, I need to find out how to drill into large crystal quartz stones to make several crystal pendants, earrings etc. I do have a Dremel I got for my birthday in Dec. I do not want to shatter it. PLEASE ADVISE ASAP. Thanks! Gorgeous pieces! Can’t wait to try my hand at it. Thanks for the relative information. This is great! I didn’t know you can use the dremel in what way! I found your instructions extremely easy to follow and very informative. Thank you for sharing. Amazing tips i will try to drill natural stone, but i use first some cheap stone. Can you use a solid bit rather than a hollow tipped one? I love the look of your blog and I always admire anyone who can create something on Etsy, which is a great marketplace. I would have love to have seen more photos of your pieces possibly with links to them on Etsy. This article is a godsend. I have seen way too many of these that require a jewelry drill (which are NOT cheap), so it’s nice to know that I can use my Dremel instead. I do have a question, though. I have some semi precious gemstones I’d like to drill through that are about 12mm in diameter. Could I use this technique with those materials and that size? Absolutely fantastic information – now I can stop breaking stones and drill bits ! !